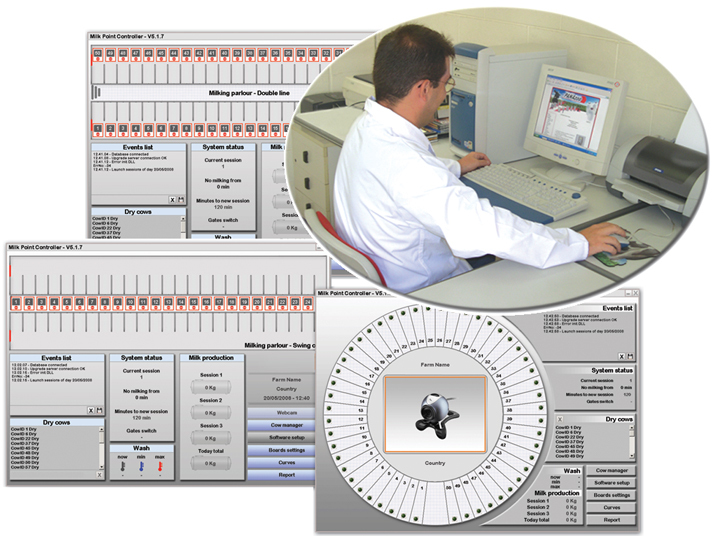 Dairy Management Software : ESMPC2 MILK POINT CONTROL SOFTWARE WITH TWO EXPRESS CHANNEL. Milk Point Controller from Panazoo for Milking, Parlor, Cow Information with Report and Production Analyzis in Data and Graphic format. Works in Combination of Panazoo readers. Milk Point Controller from Panazoo for Milking, Parlor, Cow Information with Report and Production Analyzis in Data and Graphic format. Works in combination with Panazoo readers.